Caption slip reads: "Photographer: Rustan. Date: 1960-01-11. Reporter: Devlin. Assignment: Sam Levine murder case. 41: Frances 'Mickey' McClellan, 23 (wanted for murder). 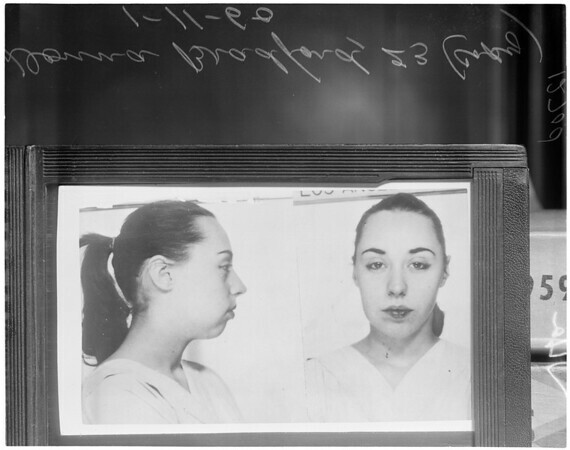 42: Donna Bradford, 23 (wanted for questioning only). 103: Composite drawing of Isaac Weinstein, 28, alias David Wein (wanted for murder)".